We'll never get over Valak from The Conjuring 2. Who knew nuns could be so freakishly scary? 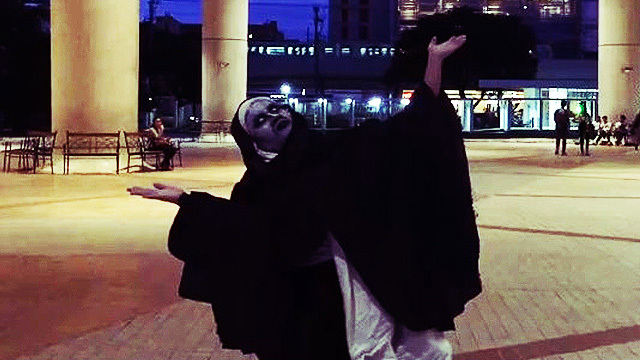 To take our mind off that scary image, we abused the replay button on netizen Lin Javier's hilarious video of Valak going around the grounds of DLSU. Yes, somebody heard your wish of Valak rapping to Skusta Clee’s "Pag May Alak May Balak," and it’s finally here.